Many people have reported that they see an unknown device ACPI\VEN_INT&DEV_33A0 in Windows Device Manager, and they can’t find the correct driver to download. If you’re having the same problem, don’t worry. We’ll help you fix the unknown device ACPI\VEN_INT&DEV_33A0 and guide you to download the correct driver for it. What is ACPI\VEN_INT&DEV_33A0 Unknown Device? Usually when you see Unknown device in Device Manager, it means that the device driver is missing, and you can try steps below to identify whether it’s ACPI\VEN_INT&DEV_33A0. Right click on that Unknown device and click Properties. 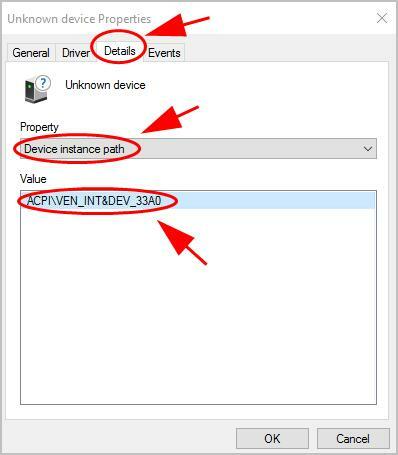 Click the Details tab, and select Device instance path in the Property section, then you can see if it’s ACPI\VEN_INT&DEV_33A0 under the Value section. 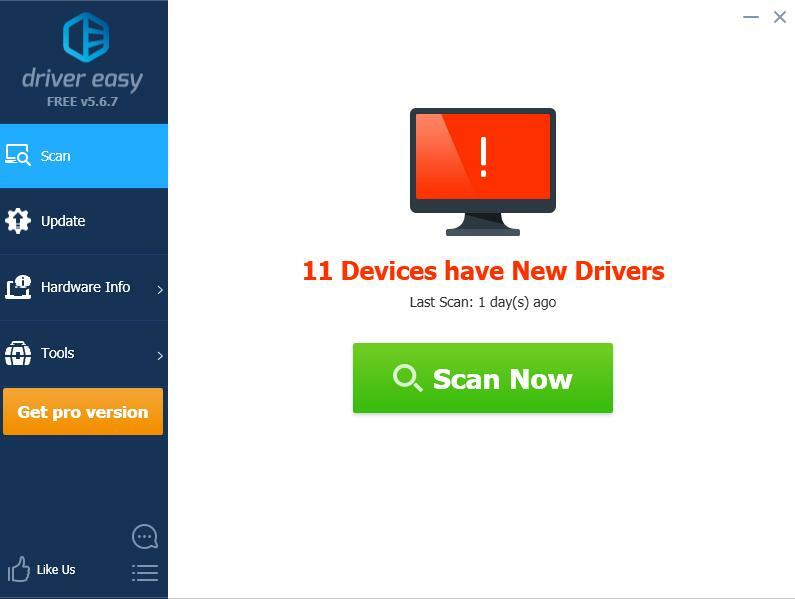 These devices belong to Intel Smart Connect Technology Driver, which is designed to update programs by periodically waking your PC from sleep mode for a short time. So you can download the Intel Smart Connect Technology driver into your computer to fix your problem. 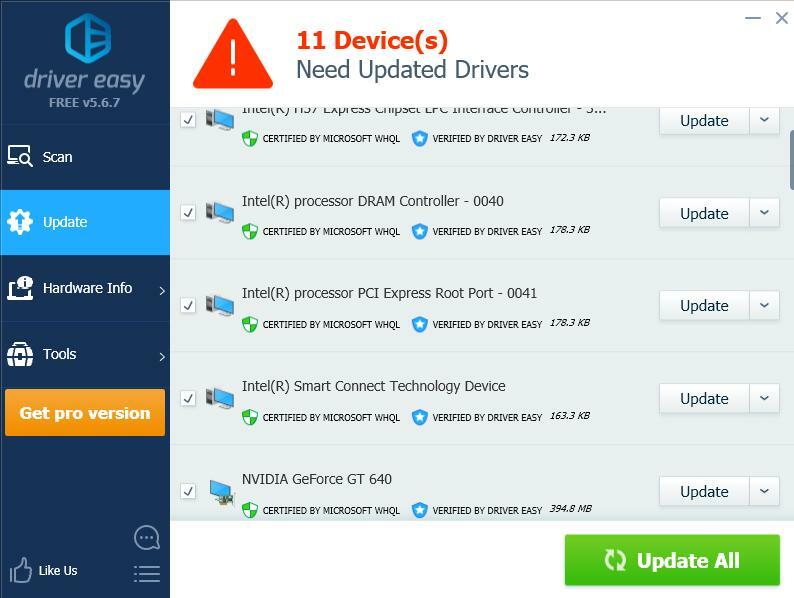 Since this is a driver by Intel, you can download the Intel Smart Connect Technology Driver manually to fix the unknown device ACPI\VEN_INT&DEV_33A0. Go to Intel download page. Click Intel(R) Smart Connect Technology.exe to download it. Be sure to download the one that is compatible with Windows Operating System, because this driver package is only compatible with Windows 8.1, Windows 7 and Windows 7. If you’re using Windows 10, please try Method 2. Run the downloaded file and follow the on-screen instructions to finish it. You should have the correct driver for ACPI\VEN_INT&DEV_33A0. If this method doesn’t work for you, don’t worry. There’s something else to do. If you don’t have time or patience to manually install the driver for ACPI\VEN_INT&DEV_33A0 device, you can do it automatically Driver Easy. So that’s it. 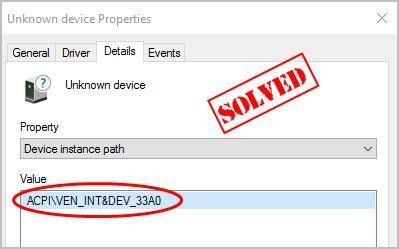 Hope this post serves its purpose and fixes your problem of unknown device ACPI\VEN_INT&DEV_33A0.